Habitat for Humanity Women Build empowers women from diverse backgrounds to come together and plan community gardens, build sheds or raise some walls on a home working alongside a family striving for homeownership. Through our strength and determination we are raising hope in our community. We invite you to come out and raise a hammer, provide a meal or use the power of the purse to support Women Build this year. Teaching and demonstrating how to safely use three different saws and how to accurately use a tape measure. Teaching basic techniques to build two small sample walls and a roof frame. Teaching how to install exterior vinyl siding on a small wall built in the previous clinic. Teaching how to install starter singles, regular shingles, cap shingles and cutting shingles. Teaching how to improve a home’s interior by learning basic application of drywall and insulation. Teaching how to install trim moldings and applying primer and paint. 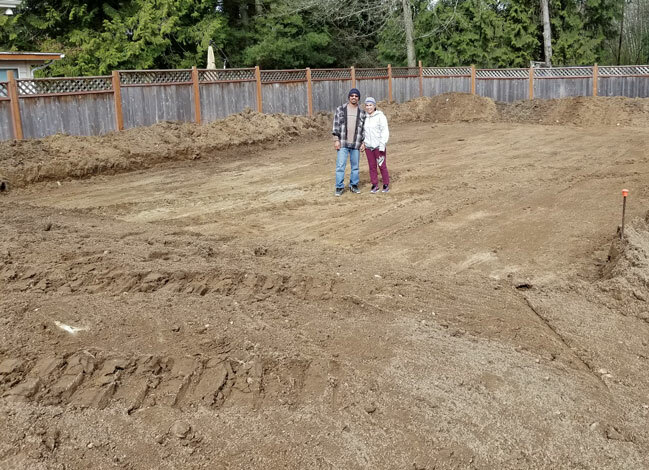 This year Kitsap Habitat will focus on building a 6 bedroom multi-generational home for the Tuliao family. Felix and Mercy balance multiple jobs while raising 7 children and caring for his aging parents. They did not come to Habitat for a hand out, they came for a hand up. As we lift the walls for their new home; we will lift our community up as a beacon of hope to all those who seek a decent, safe and affordable place to live. Feel free to bring your own tools and gloves, if you don't have any they will be provided. Please wear pants/jeans and construction site appropriate shoes. For questions: Please call the Program Office at 360-479-3853.